MENGO – ‘Bottling it’ is a common term used in sport and it is common with Liverpool FC who continuously throw away chances of winning the English Premier League. In the Futsal Super League, that term was in the air Park FC drew 1-1 with four man Aidenal. 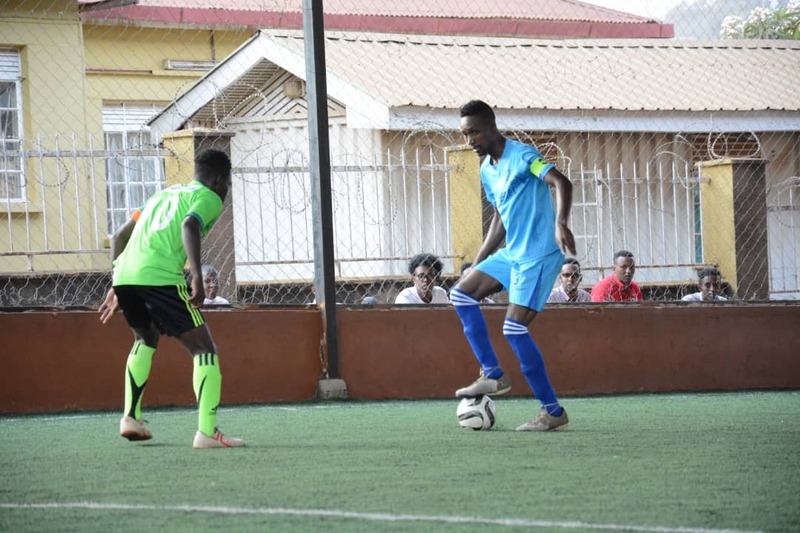 The second placed side had moved to within two points of the leaders Yeak, following in impressive run that also had them defeat Yeak 3-0 two weeks ago. But against a side that they were fancied to take care of, Park bottled it. The Iddi Babu led side started strongly, taking a 1-0 lead thanks to a Steven Bakamate goal, into the break. After the break and several Aidenal who were coming off a 4-0 win against Kabowa United levels matters through Michael Kasozi. Moments later, they had a player sent off as Martin Ssenkoto was flashed with his second booking on the night and in process, given his marching orders. Despite the one man superiority, Park could not capitalize as the game ended 1-1. The points sees park remain second with 37 points while Aidenal are still 11 with 19 points. In the first game of the day, defending champions Dream lost 2-4 against a resurgent Parakeets side. Jamal Muyingo and John Ssegawa ensured Dream were 2-1 up at halftime. Stephen Mukisa scoring Parakeets only goal in the opening 15 minutes. However, in the second, it was all Parakeets, scoring three more goals to win the game. Vicent Abigaba and Arafat Ssentongo’s double did the magic for the one time log leaders. The win sees Parakeets move into third on the table with 34 points while Dream are now 5th with 30 points from 17 games. In the game that featured the leaders Yeak, they returned to winning ways, defeated Nomad 6-2. Yeak who had failed to win any of their last two games, had a scare at halftime as they could not be separated from Nomad with the scores locked at 2-2. Enock Sebagala scoring both of Yeak’s goals while Biriq Osman grabbed a brace for Nomad. 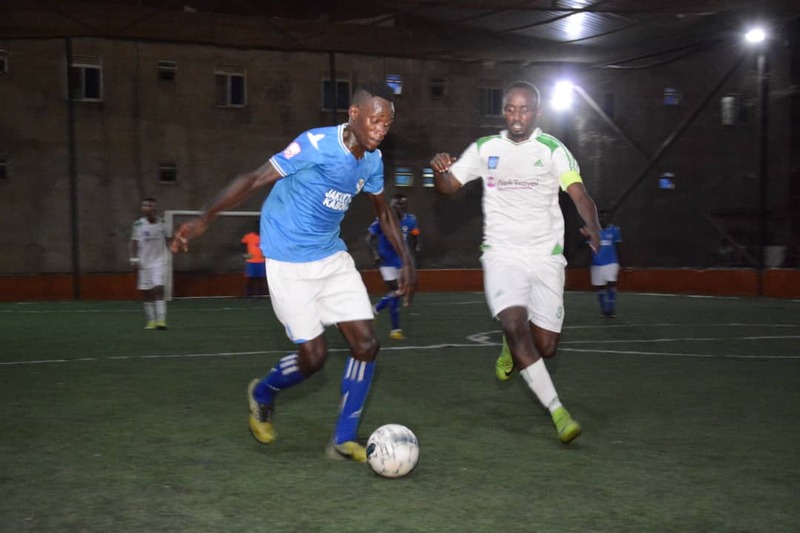 In the second, Yeak ran riot, scoring four goals with Sebagala completing his quadruple while Shaffic Avemah added the other, to ensure they win the game. Victory sees Yeak maintain top spot with 39 points while Nomad are still 6th with 27 points. 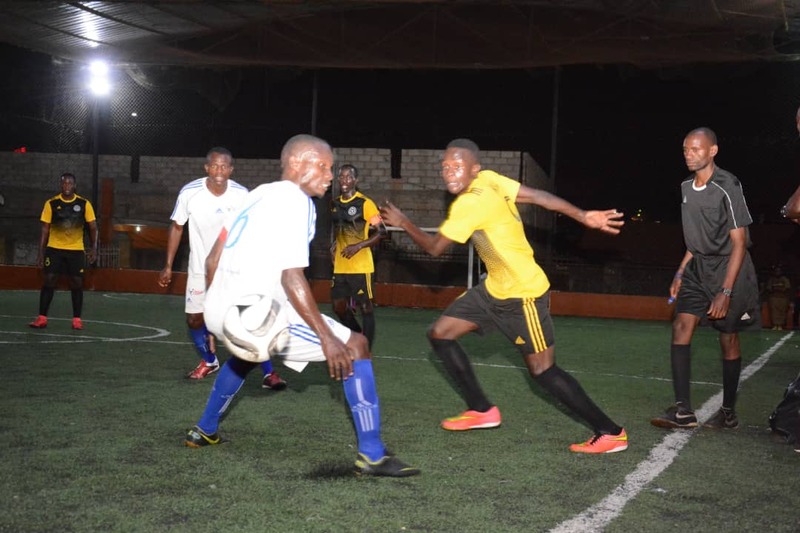 In the other games played on the night, Bajim defeated Mengo City 1-0, Equator were 4-1 winners against Elephants, Crown were 3-2 winners against Yap Stars while Kabowa United took care of Typhoon 3-2. Yeak pair of Shafic Avemah and Encok Sebagala top the scoring charts with 27 goals apiece.